H&W: Are All Eligible Participants Enrolled in the Fund’s Life Insurance Benefit? 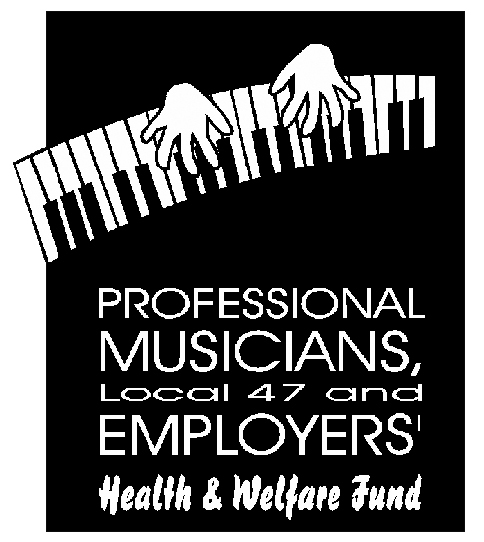 The Professional Musicians Local 47 and Employers’ Health & Welfare Fund (“Fund”) provides a $20,000* Life Insurance benefit to all Participants who have qualified for benefits. Completion of an enrollment form is not required and enrollment is automatic once the Fund confirms, after the close of the annual qualifying window (generally Oct. 3 of every year), that you have qualified for benefits based on the employer contributions made on your behalf in the prior qualifying year (generally Oct. 2 through Oct. 3). Contributions in the qualifying year, determine eligibility for the following January through December (i.e. employer contributions made during the period of Oct. 3, 2016 through Oct. 2, 2017, have determined eligibility for the period Jan. 1, 2018 through Dec. 31, 2018). If you do qualify for benefits, we strongly recommend that you complete a beneficiary form, which can be found on the Fund’s website pacfed-musicians.com – go to the “Forms” page and look for the “Life Application/Beneficiary Form.” Completing a beneficiary form now is the best way to avoid potential problems in the future. The fact is that when you qualify for the Health benefits offered by the Fund, you also automatically qualify for the Prudential Life and Accidental Death and Dismemberment Insurance benefit. There is no enrollment or co-premium required for coverage through the Fund’s Life and AD&D Insurance benefit program. Once you become eligible, based on employer contributions from the prior qualifying year, you are automatically enrolled in the Fund’s Life and AD&D Insurance benefit program. This is an annual benefit, so you must attain eligibility each qualifying year to be covered by Fund’s Life and AD&D Insurance benefit program. For more information, call PacFed Benefit Administrators at (818) 243-0222. This entry was posted in All News, Health & Welfare and tagged H&W, life insurance on July 1, 2018 by admin.